Sulu (Tausūg: سوگ, Sūg; Zamboangueño: Provincia de Sulu) is a province of the Philippines in the Sulu Archipelago and part of the Autonomous Region in Muslim Mindanao (ARMM). Its capital is Jolo on the island of the same name. Sulu is along the southern border of the Sulu Sea and the northern boundary of the Celebes Sea. The navigational error that landed Ferdinand Magellan in Limasawa brought awareness of Europe to the Philippines and opened the door to Spanish colonial incursion. The Spaniards introduced Christianity and a political system of church-state dichotomy, which encountered fierce resistance in the devastating Moro wars from 1578 to 1899. 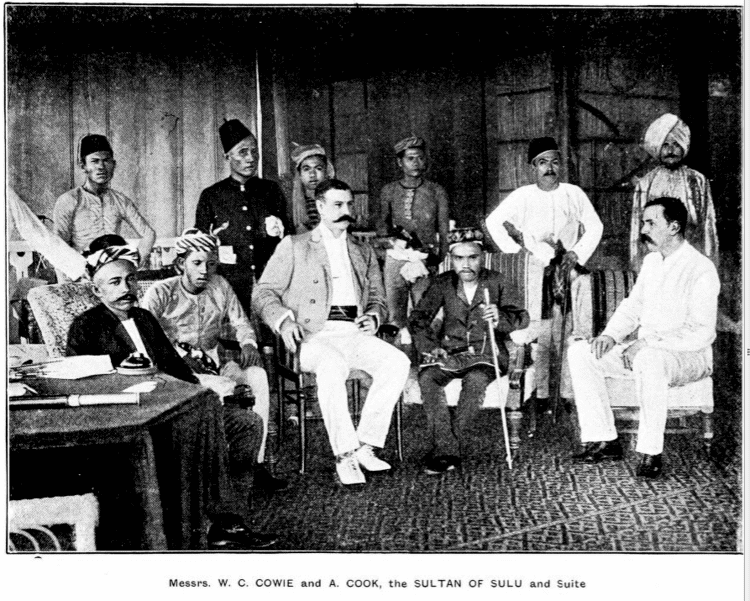 The Sultanate of Sulu formally recognised Spanish sovereignty in Tawi-Tawi and Sulu in middle of 19th century, but these areas remained partially ruled by the Spanish as their sovereignty was limited to military stations and garrisons and pockets of civilian settlements, until they had to abandon the region as a consequence of their defeat in the Spanish–American War. The province hosted the Daru Jambangan (Palace of Flowers) which was the royal palace of the Sultan of Sulu since historical times. The palace, located in Maimbung was made of wood, and was destroyed in 1932 by a huge storm. Today, a few arches and posts remain from the once grand palace complex. Many members of the royal family advocated for the reconstruction of the palace, and even its enlargement, however, the government of the Philippines has yet to establish a position or a fund for the matter. 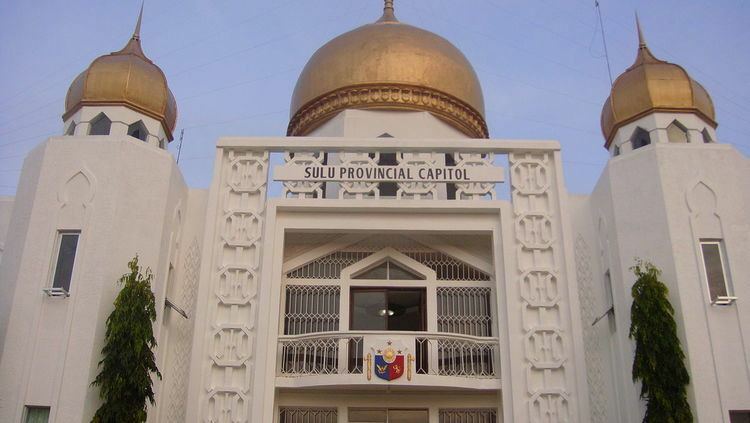 Today, Sulu has a locally constituted government and is part of the ARMM. 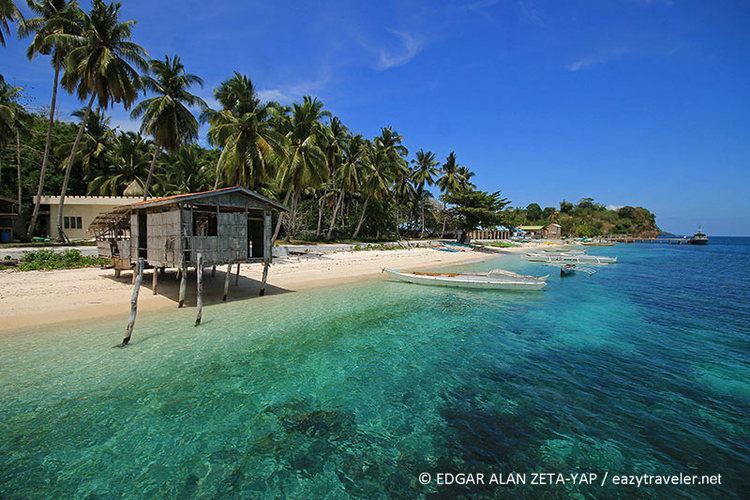 Although consisting of a mixed community of Muslims, the Tausug dominate the Sulu Archipelago. 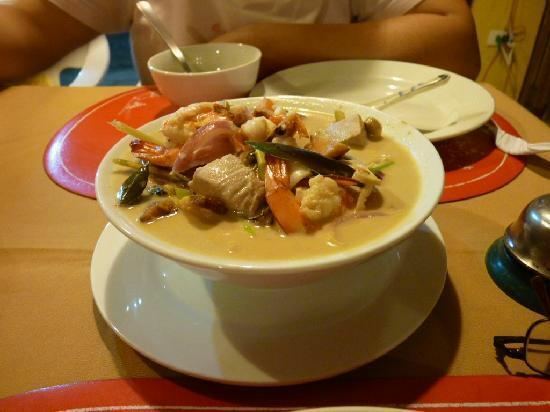 The Tausug were among the first inhabitants of the Philippines to embrace Islam as a religion and a way of life. They are referred to as ‘people of the current’, reflective of their close ties to the sea. The Tausug language is the lingua franca of Sulu. The other local language is the indigenous Bahasa Sama which is widely used in varied tones and accents. This variety led to the development of Sinama dialects. The major ones are Sinama Sibutu (spoken mainly in the Sibutu-Sitangkai Region), Sinama Simunul (concentrated in Simunul-Manuk-Mangkaw Islands), Sinama Kapoan (spoken in the South Ubian-Tandubas and Sapa-Sapa Regions) and Sinama Banguingui (concentrated in Buan Island and spoken by Banguingui people). The Bajau-Sama language is also spoken, as are English and Tagalog. Many locals and barter traders can speak Malay and Indonesian. Chavacano is also spoken by Christian and Muslim locals who maintain contacts and trade with the mainland Zamboanga Peninsula and Basilan, as Tawi-tawi and Sulu were partially ruled by the Spanish as their sovereignty was limited to military stations and garrisons and pockets of civilian settlements, until they had to abandon the region as a consequence of their defeat in the Spanish–American War. The rest of Muslims speak Cebuano because of the mass influx of Cebuano settlers to Mindanao, especially with the Tau Sūg since Tausug is a Visayan language.